To setup IKEv1 with PSK and Xauth, we only need to edit the following two configuration files. 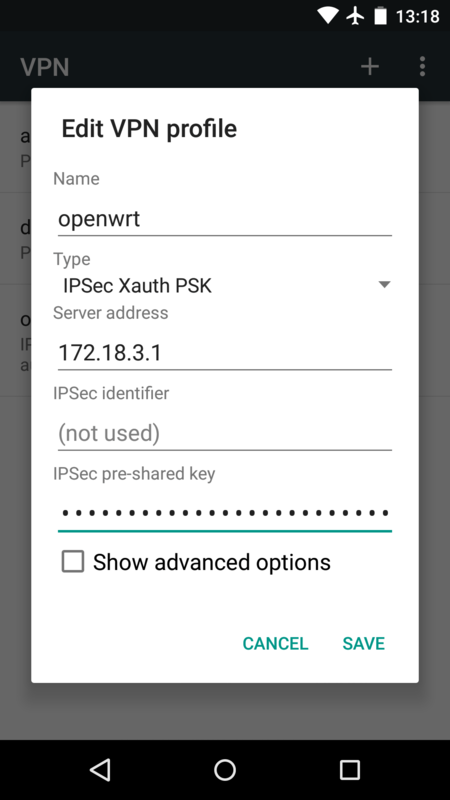 openwrt.lan %any : PSK "WhobByewg[cevHatyefunhevbydKeAv9"
We must choose strong PSK and passwords to ensure the security of IPsec connections. The example PSK and password shown above, which are generated using apg, are very good examples. We can check the detailed information about established and configured connections by typing the ipsec status and statusall commands. Open Settings / Wireless & networks (… more) / VPN, tap the “+” sign in the upper-right corner of the Settings screen. On the Edit VPN profile dialog that pops up, enter the profile Name, select IPSec Xauth PSK in the Type drop-down menu, and then enter Server address and IPSec pre-shared key. Tap SAVE. 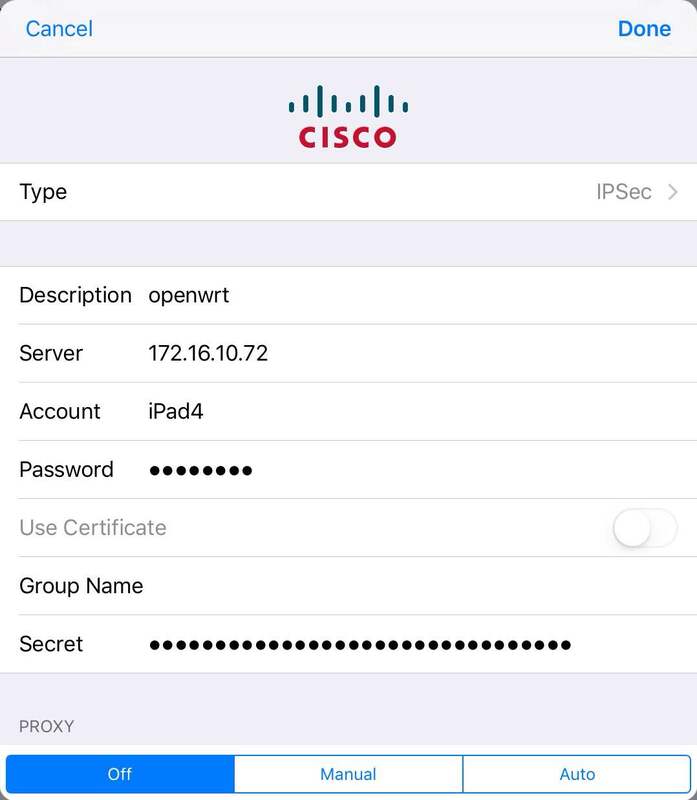 Open Settings / VPN, tap “Add VPN Configuration…“. On the dialog that pops up, choose IPSec in the Type drop-down menu, and then tap Back. Enter all the necessary information: profile name in Descrption, server address in Server, username in Account, account password in Password and finally the PSK in Secret. Tap Done.